Meiraas is an Indian brand that treats handicrafts as an art form, and sticking to that belief, it creates clothes that look nothing less than art. 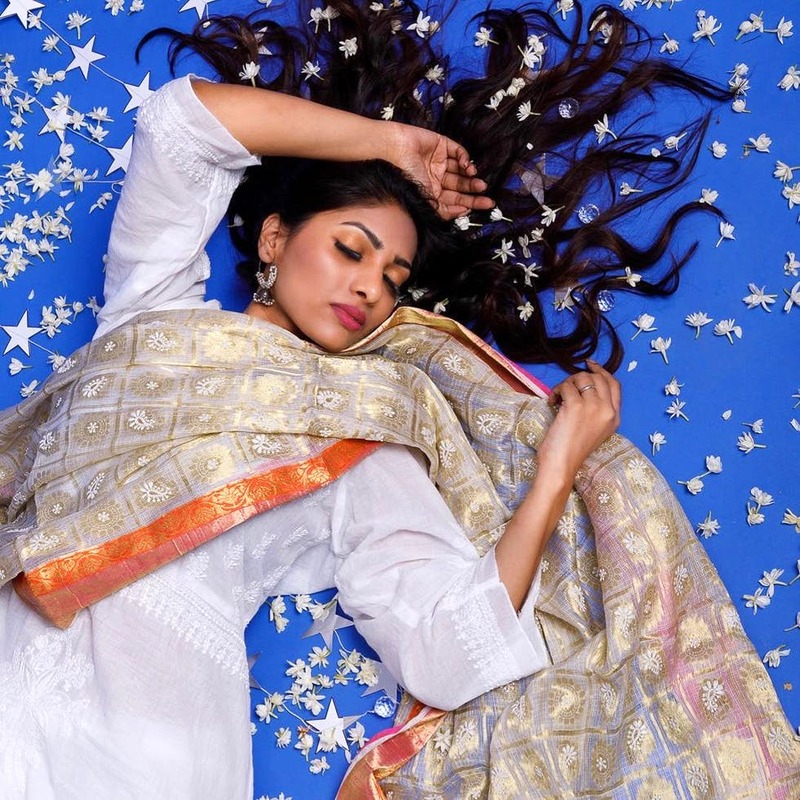 Wrap yourself in the regal Chikankari sarees or a Shibori scarf. Either way, you will stand out in a crowd with clothing from this store. The fact that Meiraas crafts clothing and pieces that restore the Indian legacy and age-old art forms make it super awesome. From the time you enter the site, you'd want to indulge yourself in the magic of six yards in the form of Katha Shibori or Chikankari sarees. If Panchatantra was your jam growing up, check out Panchatantra Chanderi sarees that carry these stories as motifs on the sarees. Keeping it classy are the Falaknuma Statement blouses that you can pair with any saree. The Adishakti collection is full of heirloom collection of Maheshwari sarees, which is another traditional art. We are also eyeing the Shibori Winters collection that has beautiful semi Pashmina silk scarves that come in vibrant colour combinations like blue and red, red and green. These can be styled as dupattas and wraps too. Plus, the Chikankari kurtas will keep you hooked. The price range is around INR 2,500 upwards across the site. If you want to get outfits stitched as per your choice, you can pick fabric pieces too.